Azamara is a boutique upscale cruise line that focuses on destination immersion. Their newest ship, the Azamara Pursuit, expands the cruise line’s global reach while maintaining an intimate, modern-casual environment. Last year, after sailing with Silversea Cruises, I confessed that I’ve officially become a cruiser. 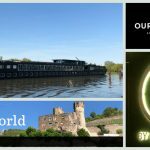 Since then, I tested out River Cruising with U by Uniworld and discovered I liked that, too. 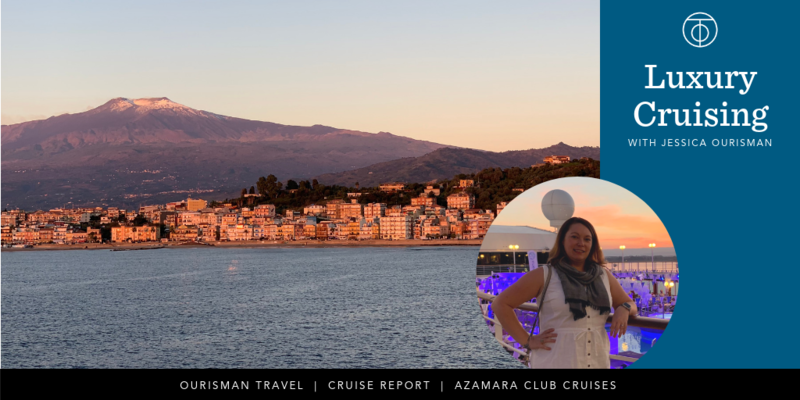 Next, I wanted to try a slightly larger ship and sail the Mediterranean Sea so I planned a cruise on the new Azamara Pursuit. 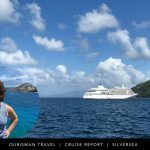 As I declared after my Silversea experience, the key to a true luxury cruising experience is choosing a small ship. 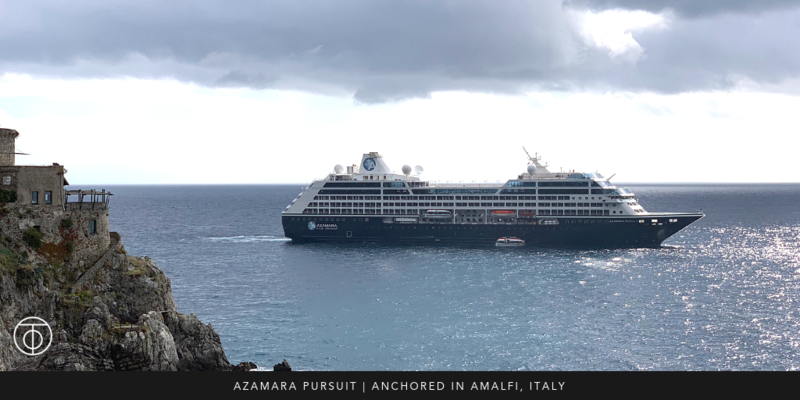 The Azamara Pursuit holds a maximum of 702 passengers. I was worried this was over my threshold and I would feel lost in the crowd. I was so happy to discover this wasn’t the case. I do still think 600 passengers is my threshold, but Azamara made some very smart decisions in their ship design and cruising format so they are able to deliver what they promise. 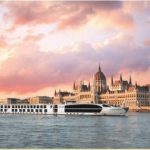 It is important to know that Azamara sits comfortably in the upscale market – they are not offering over-the-top luxury and they are not fully inclusive, but the price is right for what they offer. All meals are included along with select standard spirits, beers, wine, soft drinks, and bottled water; self-service laundry is also complementary. Guests staying in suites get additional perks and there are packages available for premium spirits and other upgrades. Gratuities are included in the cruise price and I think that makes a huge difference – no worries about managing cash tips during the trip and no surprises on your bill on the last day! Azamazing Evenings: Each sailing 7-nights or longer will feature a special evening highlighting the local talents of a port along the itinerary. Examples include ballet in St. Petersburg, a traditional village market in the south of France, live opera in Italy, or a festival with elephants in Myanmar. 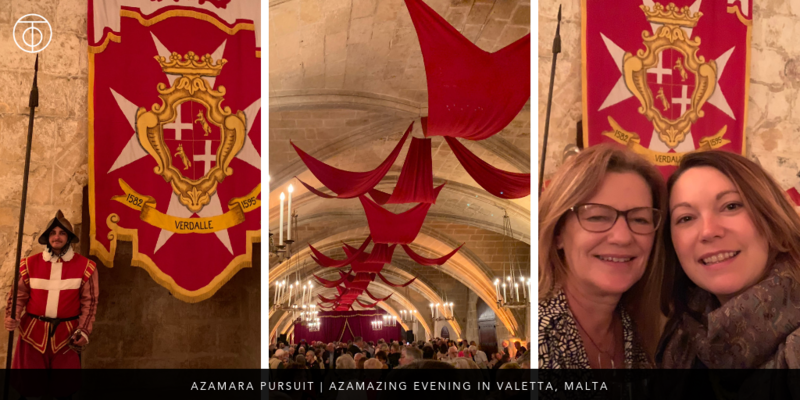 On my cruise, we sailed through Valetta, Malta and our Amazing Evening was a unique performance showcasing modern interpretations of traditional Maltese folk music. Longer time in port and Overnight stays: These ships are small, so they can dock in ports that the larger ships can’t reach. Azamara takes that a step further and they will stay overnight in ports allowing guests the opportunity to enjoy local dining and nightlife, something you don’t often get a chance to do on a more traditional cruise itinerary. 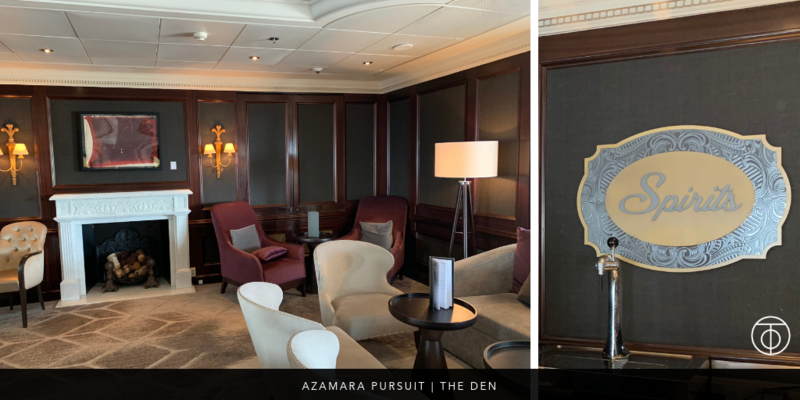 Azamara Pursuit was completely refurbished and added to the Azamara fleet in August 2018. I sailed on it in October and it still had that “new car” smell. I stayed in a veranda stateroom and, while it was smaller than my cabin on Silversea, it was still very comfortable. I missed having a walk-in closet, but the room has plenty of smart storage solutions. One thing there is just no escaping with Azamara ships is that their bathrooms are excruciatingly small – the shower is not even wide enough to spread your elbows. If you need bathroom space, you must go with a suite to get it (the new Spa suites are very eye-catching!). While the stateroom could have been bigger, the public spaces drew me out and kept me comfortable and happy. The biggest difference compared to the ship’s older sisters, the Journey and the Quest, is that it does not have a casino. Instead, it as The Den, my top favorite thing about the entire ship. The den is part bar, part hang out space, part shore excursion desk, and part travel daydream hub. During my cruise, the Den was the location for wine tasting events, pub trivia contests, and pre-dinner cocktails. If I wasn’t outdoors enjoying the weather, chances are you would find me lounging in the Den. I did not miss the casino one bit. I think one reason whey the Azamara Pursuit never felt too large, too impersonal, or too crowded was the smart ship layout; there are 6 dining venues and 3 lounge/hang-out spaces. Everyone has space to spread out. For lounging, you have the options of The Den, The Living Room and Card Room, and The Drawing Room; the Den is the most casual and gets the most through-traffic; the Living Room is more like a cocktail lounge and offers afternoon wine & tapas and turns into a lounge-like night club after dark, and the Drawing room is a bit more formal and quiet. For dining, your options include a typical buffet with a bonus of outdoor seating, a casual pool-side grill, a traditional dining room with a menu that changes daily, and 3 specialty options: one specializing in steak and seafood, one specializing in Italian dishes, and a unique Chef’s table format with prix fixe menus with rotating themes throughout the cruise. I am not a breakfast person and I certainly don’t need a sit-down meal 3-times a day, so I really appreciated the European-style Mosaic cafe where I could order a cappuccino and have a light bite for breakfast or lunch to keep everything in balance! The entire ship has a flexible and forgiving dress code. Day wear is resort casual and the Evenings range between resort casual and smart casual; formal attire is never required. For the size of the ship, I thought the Azamara Pursuit boasted a well-appointed and large gym and spa area. The hidden Sanctum Terrace, and outdoor lounge with a hot tub connected to the Spa is the ships hidden secret and a perfect place to relax before a spa treatment! The fitness center isn’t overly sized, but it had a nice variety of equipment from the usual treadmill, bikes, and elliptical to weightlifting gear, and space for stretching, spinning classes, or yoga. So… would this luxury cruiser sail Azamara again? When it comes to travel, I often put my money where my mouth is and plan personal travel based on my business travel experiences. In this case, I have already booked my next Azamara cruise! My husband and I will be sailing on the Azamara Quest from Tokyo to Anchorage in May 2019 and I’ll be sure to report back with an update! Pro-Tip: Did you know the BEST time to book a cruise is while you’re on one? You will always find the best pricing and promotions when you book on board. I promise, my team and I will not be able to recreate these savings for you once you leave the ship. They don’t expect a strong commitment and a $500 deposit will lock in the special savings; you’ll even have a chance to change to a different sailing later on if you need to. In these cases, Ourisman Travel will still be tied to your booking and we’ll be able to support your next cruise, too! This entry was posted in Cruise, Europe and tagged Azamara, Cruise, Cruises, Mediterranean. Bookmark the permalink.